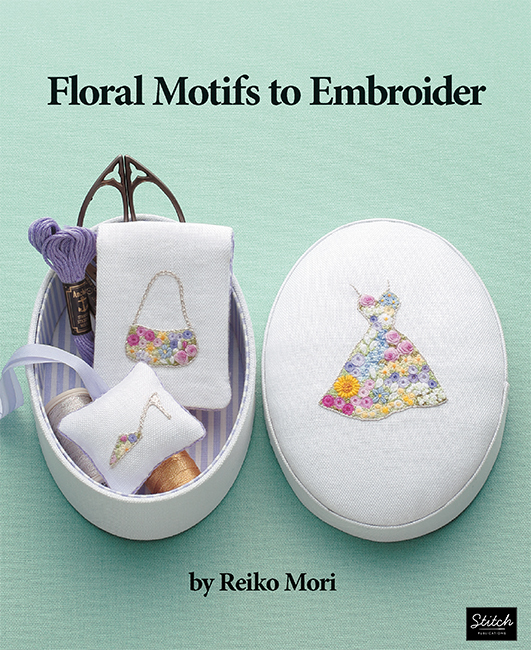 If you love floral embroidery designs, you will love this book by Reiko Mori. There are dozens of beautiful designs in this book that look complex – and will take a bit of time to complete – but they all use standard embroidery stitches. The appeal of these designs is that they are created with a combination of small floral motifs, which, when all stitched close together, create the final, larger designs. There are unusual designs in this book that I haven’t seen in other embroidery books, some that would be perfect for a bride and her attendants. 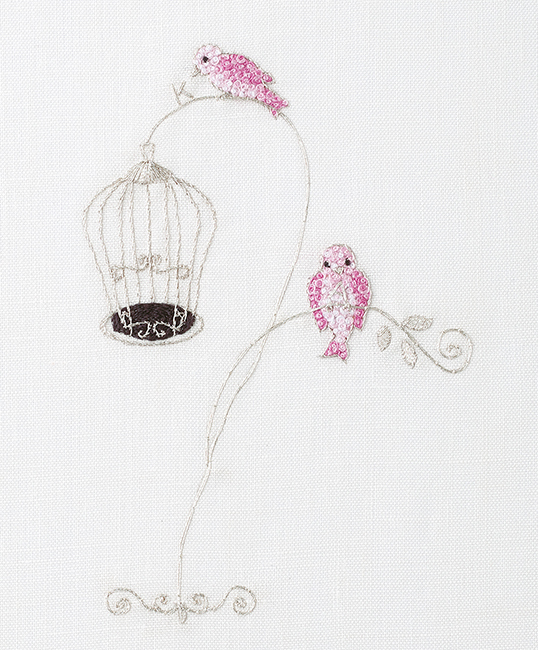 Complete instructions and information about hand embroidery are included in Floral Motifs to Embroider. Although I haven’t heard of heirloom embroidery (like heirloom quilts), I could certainly see how these designs could be used to create heirloom projects. In addition to the designs, complete instructions on projects using these embroidery motifs are included in Floral Motifs to Embroider. I found these designs appealing as they are more intricate than I’m used to seeing in embroidery books and I loved how various small floral motifs were used to create the larger designs. In addition, the designs in the book are ones that you don’t usually see, such as the Japanese traditions designs, the alphabet birds and the tea cups – my favourites! To get a closer look at Floral Motifs to Embroider, click on the image below to watch the video. If you want to create unusual, intricate embroidery designs, you’ll need to check out those in Floral Motifs to Embroider. 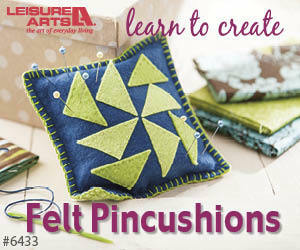 Get your copy of Floral Motifs to Embroider here. P.S. I am an Amazon affiliate and, if you purchase items by clicking through the links in this post, will receive a small commission. This helps me to continue providing free content for you. Thanks!